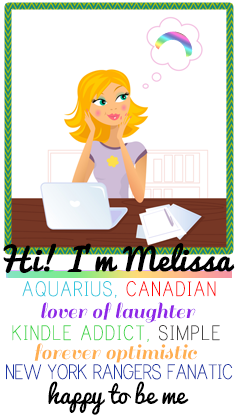 BOOK-I am a supporter of the environment and living a 'green' lifestyle. While I admit I am far from being super environmentally friendly when it comes to my lifestyle choices, I do try and incorporate many smaller choices into my lifestyle, such as buying local, purchasing organic products and turning the lights off when I leave a room. Small things, but it's something. This book was intense! It has a lot of information on living organically and covers everything from food to clothes to home decor. A ton of information. It can be overwhelming reading about how to live a truly organic lifestyle, what I loved was that near the end of each chapter there were a single, easy suggestion that you could implement into your lifestyle. This suggestion made things less overwhelming and more applicable to the life of someone just starting out on an organic lifestyle or someone who doesn't want to live 100% organically but does what to make 'greener' choices in life. Even if you do not decide to follow this ideas in this book, it's a good read for the simple fact that it tells you WHY you should make more organic choices in your life. I had no idea that I faced so many toxins on a daily basis. What I didn't like was that so much focus was put on organic food and cut meat out of your diet. I am already very familiar with organic produce and the organic benefits of reducing the amount of meat (if not all meat) in your diet. 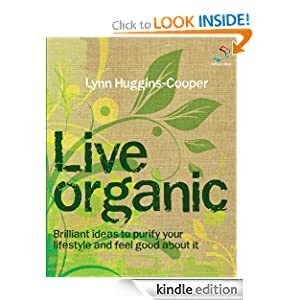 Great book for anyone interested in organics or 'greener' living, especially if you are just a beginner in this lifestyle! 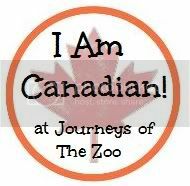 SONG-One of my favourite 'summer songs' by a Canadian artist...an oldie but a goodie! BODY- Wear sunscreen! This is something that we should be doing year round...but especially during the warmer months as we spend more time outside. Even if you aren't going to be lying out by the pool or on the beach, you should lather up with sunscreen. 1. Make sure your sunscreen blocks both UVA and UVB rays. When it comes to sunscreen, less IS NOT more. More is better! General rule of thumb, you should be using a teaspoon of sunscreen on your face and about a shot glass worth on the rest of your body. Use sunscreen bottles that are labeled "broad spectrum designation", which means the product is FDA certified to protect against UVA rays. SPF # is protection against UVB. What the number means is how long it will take the UVB to cause damage. The higher the SPF number, the longer it will take for the UVB rays to cause damage. A higher SPF number DOES NOT mean you have extra protection. Example, SPF 15 means it will take 15 times as long for the UVB rays to cause damage not that you are 15 times more protected from UVB rays. As per new FDA regulations, the highest SPF you will be able to buy is 50+. If you see anything higher (like 60, which is what I used to use), it may not meet FDA regulations. FDA Regulations have changed, so do a little research as to what the new regulations are and make sure your sunscreen meets the requirements so that you get the benefits of wear sunscreen. I am very pale, as is Lallie, living in South Florida. So sunscreen is a MUST for us, everywhere!